A new $500,000 Federal Government investment announced on Friday will see Deakin’s advanced manufacturing business incubator, ManuFutures, develop a new acceleration program to support the emerging enterprises located within the facility. Deputy Vice-Chancellor Research Professor Julie Owens, who made the announcement at ManuFutures’ Waurn Ponds Campus headquarters, said the new ManuFutures Export Acceleration Program (MEAP) will support the emerging businesses to strengthen their export focus and accelerate their entry into global markets by offering business skills training, highly skilled mentors, support through project teams of Deakin’s Work Integrated Learning students and interns, and access to researchers from across the University, as well as subsidised access to trade missions. “ManuFutures is supporting small up-and-coming advanced manufacturing enterprises fast track new products to the global market, grow their businesses and help shape the future economy and this new support from the Federal Government recognises and is a result of just what it has already achieved in only its first year of operations,” Professor Owens said. Partington Advanced Engineering, HeiQ and Conflux Technology are three of ManuFutures tenants that have already benefited from Federal Government funding programs. Textile innovator HeiQ has achieved primary production and has already exported the initial batch into their supply chain for process testing and acceptance. High-end carbon fibre bike wheels developer Partington Advanced Engineering has established a state-of-the-art manufacturing facility to support composite design and production and reached pre-production status of their first wheel product. Additive manufacturing applications company Conflux Technology, which specialises in thermal and fluid engineering, has established a state-of-the-art 3D manufacturing facility and refined design and production processes of their launch product – an integrated heat exchanger. “When Partington moved into ManuFutures earlier this year, it was a small two-person enterprise and now it is preparing to double that number of staff,” the Professor said. 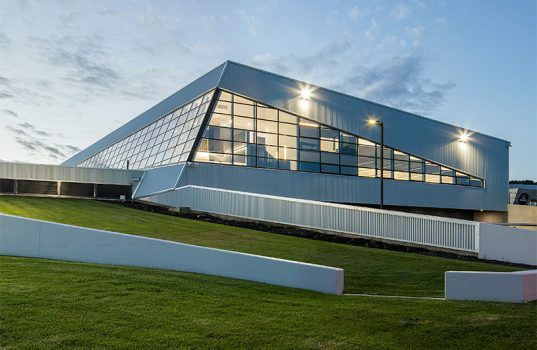 The $13 million ManuFutures building, which opened in April, was supported by a $3 million investment from the State Government’s Regional Jobs and Infrastructure Fund, while Deakin University supplied the land and an additional $10 million.